Martin Air offers once a week, on Saturdays, a flight to Sangsters Airport, Montego Bay. British Airways offers on Monday, Wednesday, Friday and Sundays flights to Norman Manley Airport, Kingston. 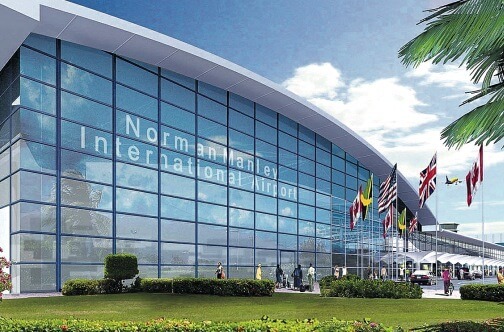 Air Jamaica offers once a day, 7 days a week, flights to Norman Manley Airport, Kingston.